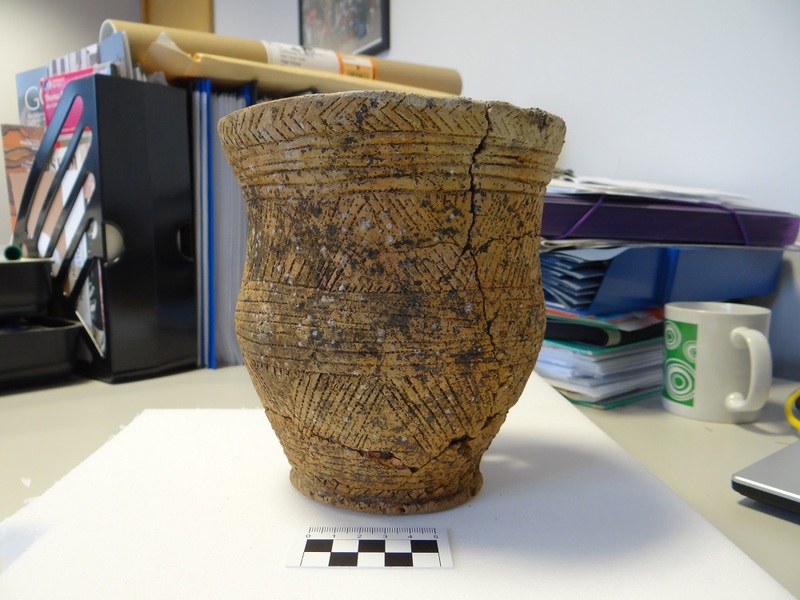 In 2014, whilst working with the Highland Council Historic Environment Team, I came across the record of a Bronze Age beaker burial from Caithness in the Highland HER records (MHG13613). Although the site was discovered and subject to a rescue excavation in 1987, and some preliminary post-excavation had been undertaken, it had never been fully researched or published. The burial was positioned in a rare rock-cut pit with a stone lined cist, complete with cap stone. 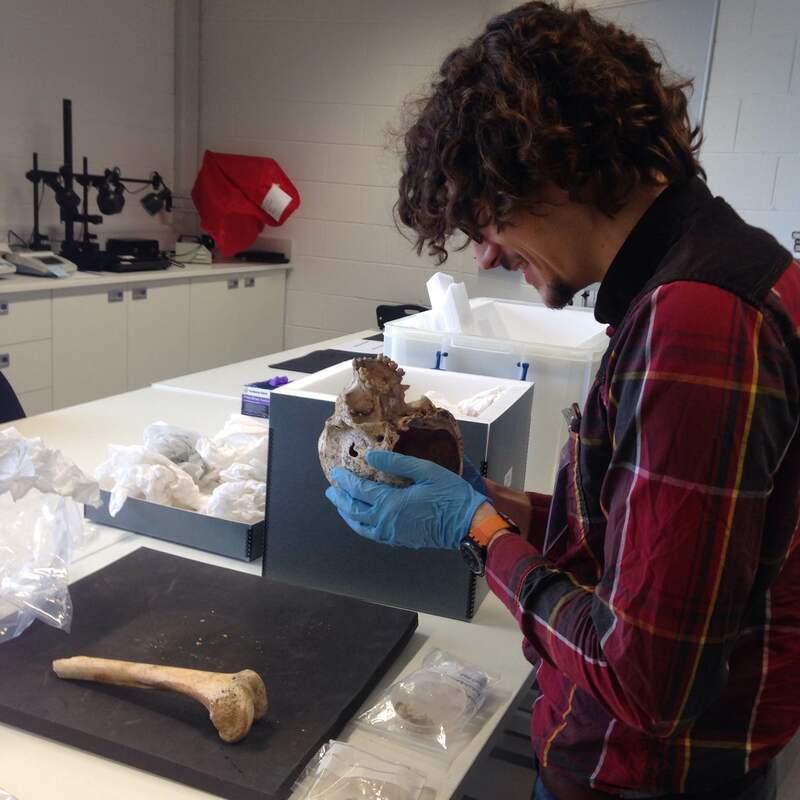 Inside were the remains of a young female (fondly known as Ava, her name an abbreviation of the place of discovery), aged 18-22 years old, accompanied by: a highly decorated beaker, three pieces of flint and the scapula of an ox or cow. Within seconds of opening the file and starting to read I was completely captivated. At that moment, I had no idea of the impact of my curiosity. I was totally clueless as to what was in store and completely oblivious to the fact that two years down the line my passion for the site would not only have increased but it would have extended far beyond myself. The project began with my own research: I sorted the paper archives, located the artefacts at the Caithness Horizons museum, and subsequently photographed, measured, recorded and illustrated them. I went on to: re-discover the exact location of the site, re-create site plans, analyse the decoration on the beaker, make comparisons on a national scale and build a database and complete record of the artefacts. I bashfully presented my findings at a couple of conferences and… then things started to get interesting. At the very heart of the project was research. 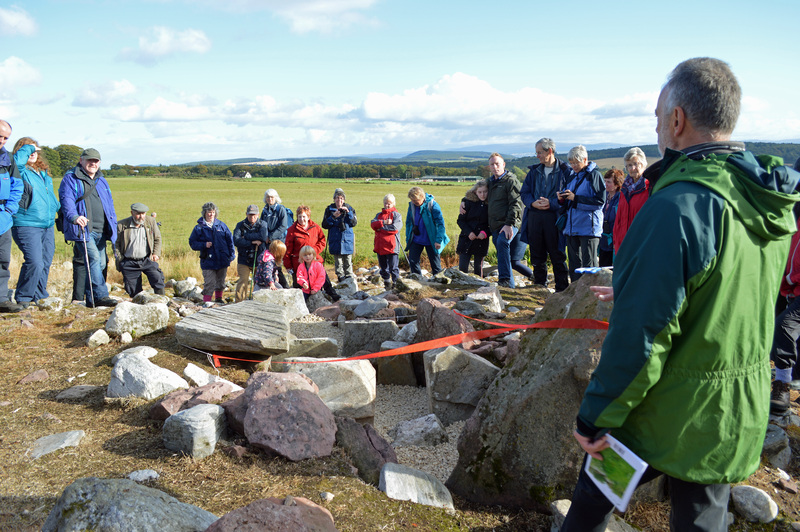 The initial goal was always to find out more about the individual buried at this site and to increase our knowledge of Bronze Age society in Northern Scotland. With the help of many different organisations and individuals, I applied for funding and soon found myself talking to experts (and to BBC news reporters, twice!) who were interested in developing our understanding of the site. This entry was posted in Bronze Age, Caithness, Excavations and tagged Alison Sheridan, ancient DNA, Archaeological dig, archaeology highlands, beaker burial, Bronze Age Archaeology, bronze age cist, Bronze Age mummification, burial cist, Caithness Archaeology, Caithness Horizons, Historic Environment Record, Jane Evans NERC, radiocarbon dates, Scott Timpany UHI, skeletal remains, Society of Antiquaries of Scotland, stable isotope analysis on March 27, 2016 by nosas. Act One started with the construction of a Cromarty-Orkney-type chambered cairn approximately 3600 BC, as the Neolithic farming package developed in the area. The passages of the chamber at the heart of the huge cairn were aligned north-west to south-east. They consisted of an entrance passage to the south-east, leading to a middle chamber, leading to an inner chamber. An excavation over two seasons by Tony Woodham in 1955-6 produced a series of artefacts dating to this period – a leaf-shaped Neolithic arrowhead, other flints, and numerous pottery shards. This entry was posted in Black Isle, Excavations, Neolithic and tagged Adopt a monument scheme, Alison Sheridan, Archaeological dig, archaeology Scotland, barbed and tanged arrowhead, Black Isle archaeology, Carn Glas, Chambered cairn, chambered cairn excavations, Copper Age, highland archaeology, Kilcoy Cairns, Leaf arrowhead, Lord Abercromby, neolithic archaeology, neolithic pottery, Neolitic arrowhead, North of Scotland Archaeological Society, NOSAS, NOSAS report, Orkney Cromarty type chambered cairn, Tony Woodham on January 6, 2016 by nosas.